This vary rarely seen 4 1/2″ x 3″ advertising tin by the Rock City Tobacco Co. Great graphics and bright vivid color. 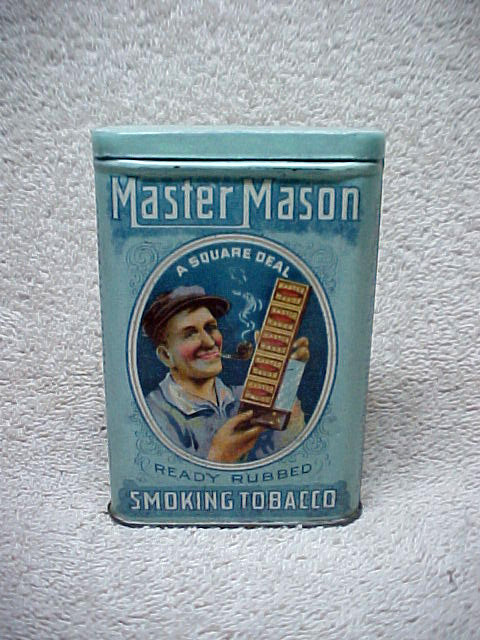 An exceptional and very desirable early advertising tin featuring a smiling mason. Marked A.C.C. (American Can Co.) (Joppa, Maryland) 4.5″ x 3″ x 1″.